Remarkable archive of 75 Western Union Telegrams from different towns in Vermont reporting on the election results in 1892 between Grover Cleveland and Benjamin Harrison. 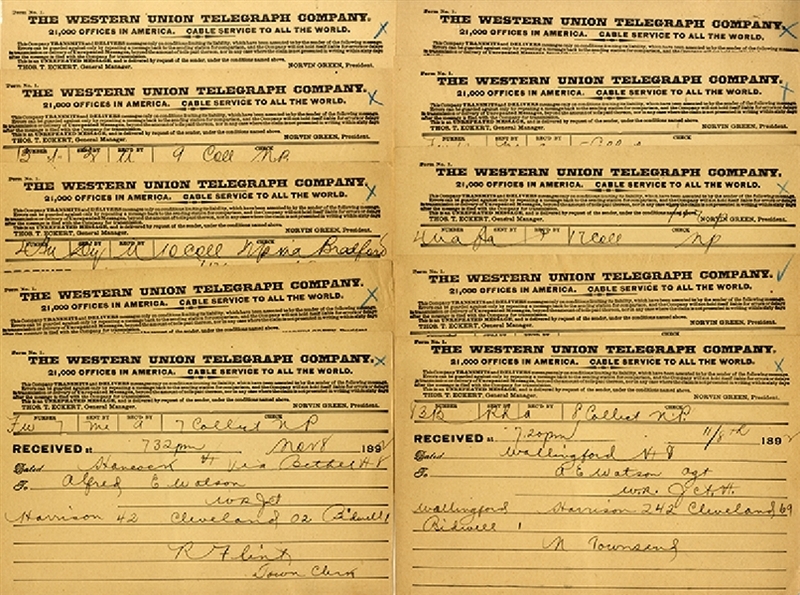 The telegrams are all dated November 8, 1892, and give voting results for each candidate. The telegrams also have the voting results for John Bidwell, who was the Prohibition candidate. A wonderful archive from a campaign which saw Grover Cleveland win a non consecutive term as President. As a side note, Harrison did carry the state of Vermont.